Unfortunately the ugly truth is that criminals aren’t going to wait for negotiations and salary increases before they attack. The crime fighting safety app allows users – via their GPS enabled smartphones – to share their physical location with the nearest three TMPD emergency response vehicles and receive an immediate response. The first available officer is immediately directed to the citizen’s location while being monitored by the control room. It’s faster and it makes the task of getting help as simple as pushing a button. As we move into the holiday season, South Africans, and especially citizens in Tshwane, are encouraged to download the free Namola app http://namola.com/download and to share it with their family and friends. With 11x faster response times by the TMPD, this is a fantastic innovation to fight crime and save lives, with plans underway to roll the service out across South Africa. 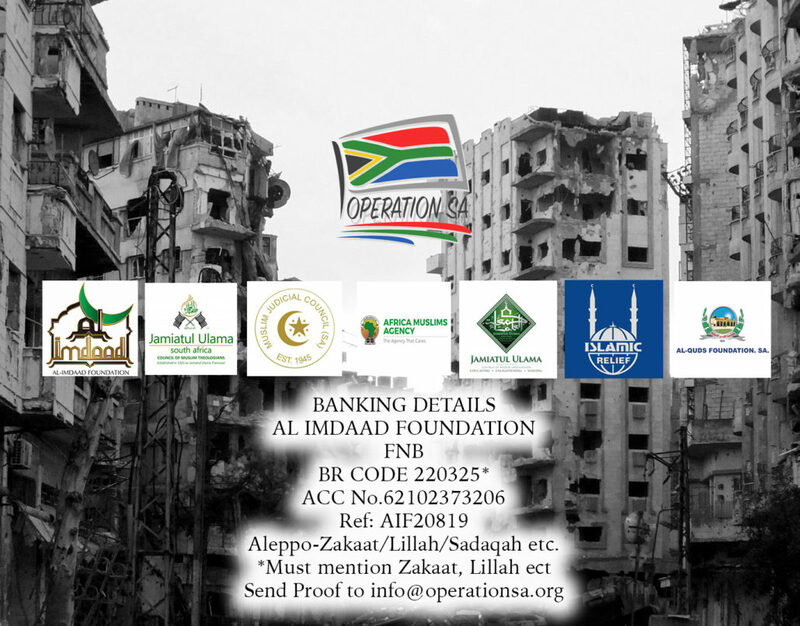 A Cape Town philanthropist and businessman has pledged to construct a multi-million rand community resource centre in honour of social activist Yusuf Abramjee. 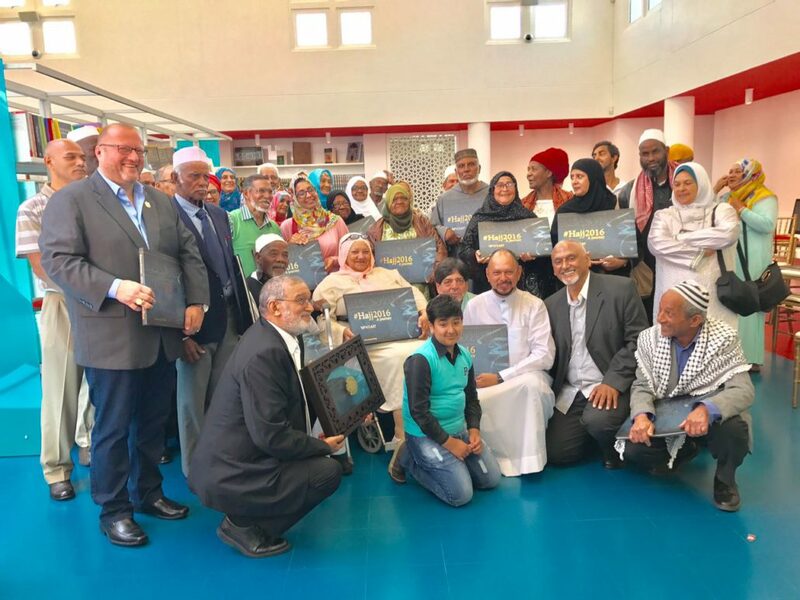 Neil de Beer made the announcement at the new Al-Ikhaas Library and Resource Centre in Lansdowne where Abramjee presented 40 coffee table books to senior citizens who have not been on Hajj (pilgrimage). He said “finer details of the R5-million project would be released in the New Year. The 40 books, costing R750 each, were sponsored by the General Manager of the Saudi Arabia Basic Industries Corporation (SABIC). 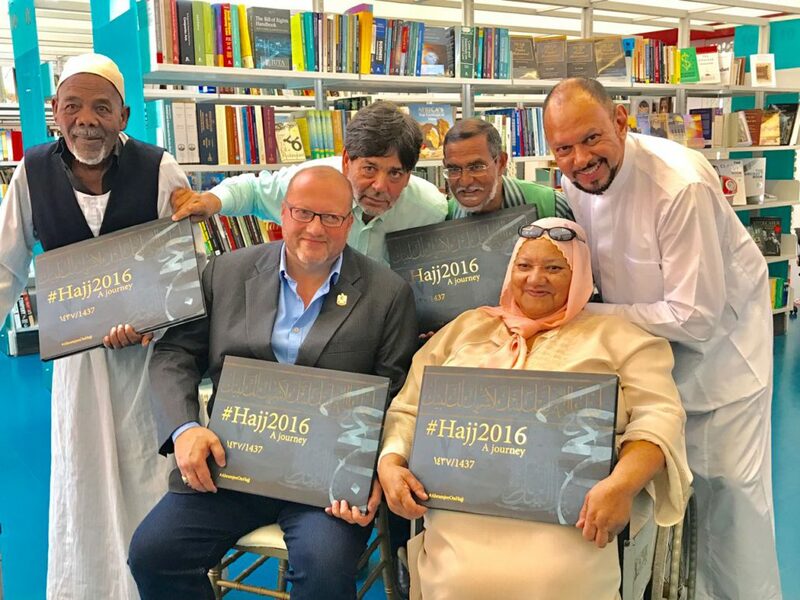 40 #Hajj2016 books were distributed to people who have not been on pilgrimage in Cape Town on Sunday. 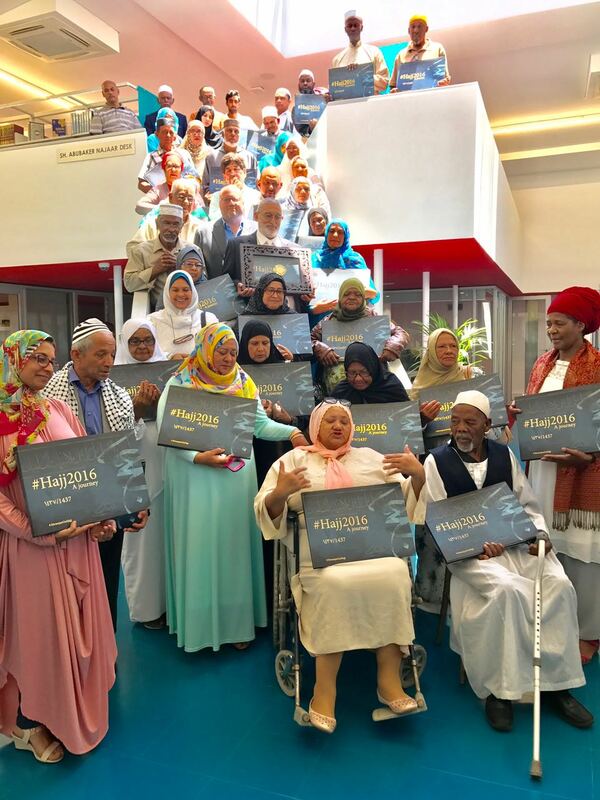 Yusuf Abramjee (left) distributed his #Hajj2016 book to senior citizens. Seated: Businessman Neil de Beer and Jasmina Ratcliffe (70). Jainodien Stuurman (67) and Dawood Esack also received books from Yusuf Abramjee (right) and Dr Elias Parker from the Al Ikhlaas Library and Resource Centre. 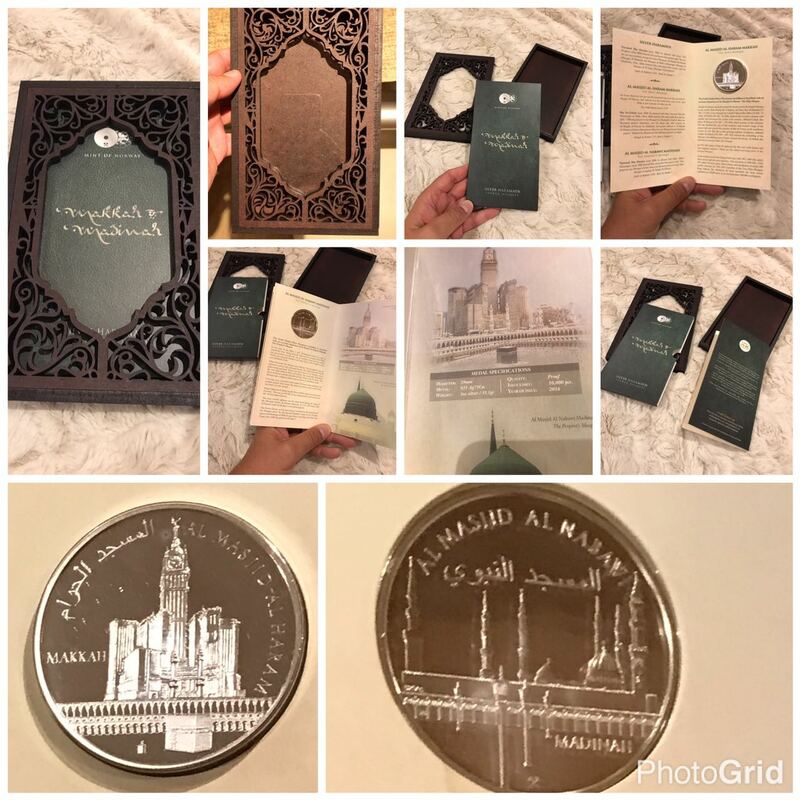 Makkah & Madinah Silver Haramayn Sacred Mosques coin set. 000 pcs. Year of Issue 2016. Beautifully packaged: Also comes in a specially made wooden casing. Ideal gift also. It is a must have! Price: R1750. (Courier cost additional R100). Limited stock.